Local children in grades kindergarten through 12th-grade are invited to participate in an Arbor Day Art Contest – aimed at celebrating the trees of Ohio. The deadline to submit artwork, including drawings, paintings, sketches, murals or other mediums that depict the trees of Ohio, is 4:30 pm. on Monday, April 22. Winners will be selected from four age groups, grades K-2; grades 3-5; grades 6-8 and grades 9-12. The artwork will be displayed in the Civic Center Lobby, 300 E. Central Ave.
For more information, contact Heidi Van Antwerp at hvanantwerp@westcarrollton.org or (937) 847-4635. The art contest winners will be announced at the April 26 Arbor Day tree planting event. 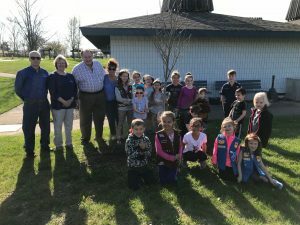 Dozens of local children, including those from area scout troops, will join local leaders in celebrating Arbor Day at 5:30 p.m. on Friday, April 26, at Wilson Park near the kiosk at the pool entrance. The children will help plant a tree while Mayor Jeff Sanner reads a proclamation. The mayor and children will be joined by other City Council members and City Beautiful Commission members. Children will earn a tree planting patch for their part icipation. 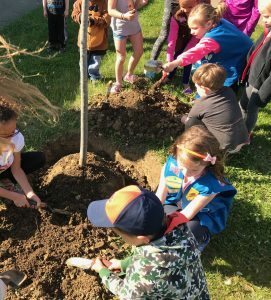 The City of West Carrollton will earn its 30th certificate as a Tree City USA member during a ceremony in Centerville on April 26. Participation in the Tree City USA program requires that the city performs tree care programs, enacts a community tree ordinance, funds a community forestry program; and celebrates Arbor Day with a community ceremony. For more information, contact Christian Mattingly, parks and recreation director, at (937) 859-5182.